In order to kick off the new year in style, Sony has announced a special promotion for the PlayStation Network to get you started off on the right-gaming foot. 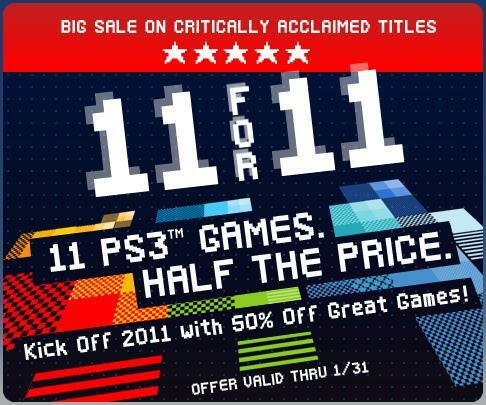 The Official PlayStation Blog has revealed the “11 for 2011“ game sale, including 11 of the PSN’s most critically acclaimed titles at 50% off. There are definitely some good deals to be had in that list... might I recommend Costume Quest to anyone who has yet to play it. So, tell us, is there anything in there that is catching your eye?